Have you ever shopped on line and tried to figure out where the site kept products such as outside garbage cans, reflectors, and mailbox posts? Well, for your benefit Woodstock Hardware has assembled all of those supplies and products in their Property Accessories Department. That’s right everything you need to “accessorize” your property. Sounds a bit funny, but it certainly makes it easier to find the reflectors you need for your driveway. Or outside garbage cans. Or a mailbox and mailbox post. To answer the question; most of these types of products and supplies are usually found in Lawn and Garden. Make sense to you? Well not us. Except we know when push comes to shove everything is really found in the “search bar” anyway! 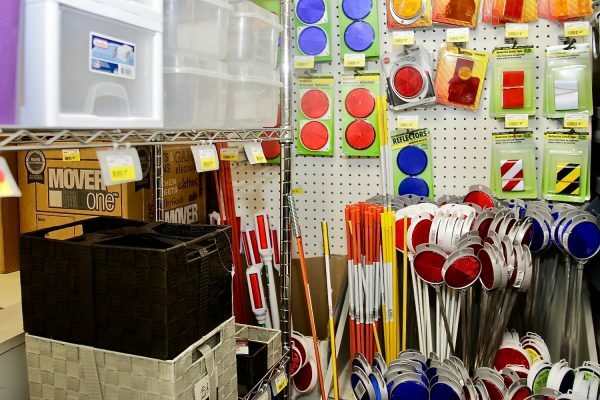 In Woodstock Hardware’s Property Accessories Department Woodstock Hardware stocks, a full line of supplies and products you will need to customize and protect your property. In addition, Woodstock Hardware has the ability to make you a custom sign for your home or office. Through a partnership with a local sign company, Woodstock Hardware can make you that sign you have wanted for years. If you need a sign and want to upgrade beyond the standard 8X11 plastic sign stop in and let Woodstock Hardware help you with all of your custom sign needs. Stop in and ask us about our custom sign program. In addition to the selection of Property Accessories products, Woodstock Hardware can also provide you the technical expertise required to help you make sure you will successfully complete your next project. Here are a few tips to consider when installing a new mailbox. The normal standard for placement of a mailbox is at a height of 3.5′ to 4′ above the road surface, and 6″ to 8″ from the front face of the curb to the mailbox door. This is to accommodate the average window placement of the mail delivery vehicle. The quickest way to have your mail delivery stopped is to place the box at a height or distance that requires the driver to get out of his vehicle to insert your mail. Be sure to clearly mark your address on both sides of your mailbox. You never know when emergency personnel may be searching for your home and it is anyone’s guess which direction they will be arriving from. 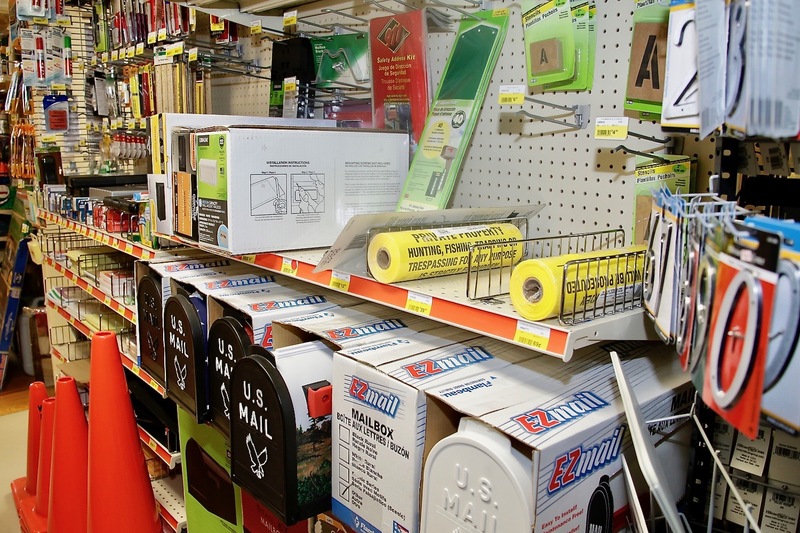 So, if you are planning on completing a project as mundane as installing a mailbox, or installing reflectors along your driveway Woodstock Hardware has the products and supplies you need.